Stripes for the 20th time in a row, yes, I’m sorry. In a bid to wear more of my wardrobe (and repeat pieces at the same time, it would appear) I dragged this blazer out of the small selection I saved from going in the blog sale. I’ve had it for around two years or so now and it’s the perfect bright pink, no idea why I don’t wear it more often as it’s a good way to add colour to my usual monochrome outfits! Speaking of my favourite black and white, can we discuss the bag? 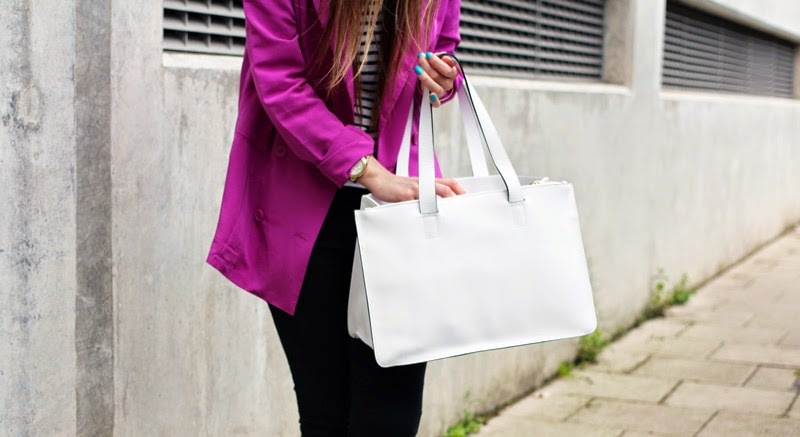 It may seem like a plain tote but I’d have to correct you and say it’s the best tote around. It’s the perfect size, structure and white leather? C’mon. Definitely going in my ‘to wear all of the time’ pile, it’ll keep my striped jumpers company. Anyway, today (and tomorrow) I’m off to my marketing and events internship. Have I mentioned I do that on here before? To be honest, I only started last Thursday and do two days a week, but I’ve genuinely enjoyed it so far which is really good. I’ve always fancied doing something in marketing or PR you know, since doing a journalism degree and realising that topic wasn’t for me, so it’s nice to get some confirmation that I do like it. Plus the people I’m working with are lovely so that’s a bonus too! 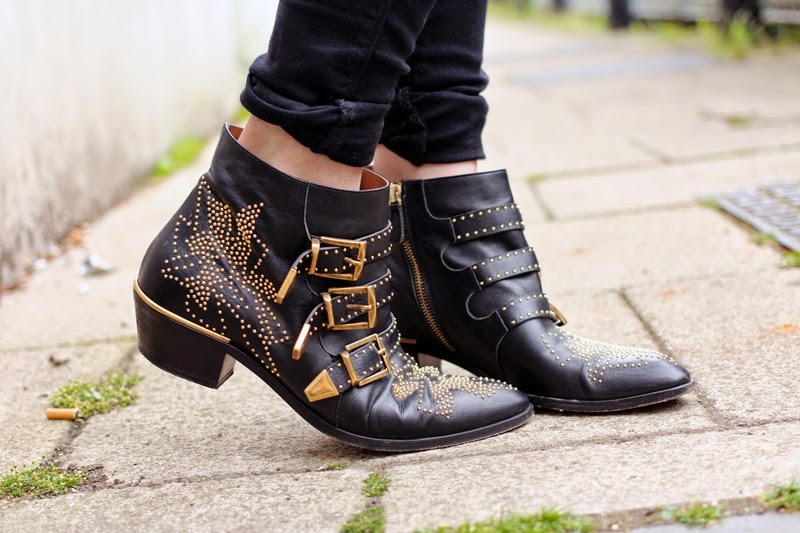 Oh and there’s lots still to snap up in my wardrobe and beauty blog sales! Both end on the 8th!